For any company, becoming the focus of a story which features in the Google ‘News’ tab is either a blessing or a curse. When it comes to positive PR, the former is true: featuring in a publication which has the sufficient credibility to register under this particular section is a huge plus point. Looking towards the other end of the scale – a negative story – and the outlook is very different. It goes without saying in 2015, that Google really is everything when it comes to online reputation. 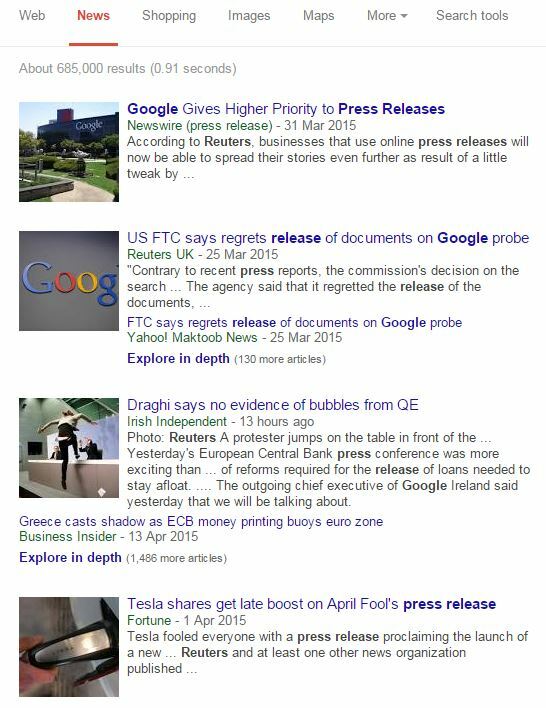 One bad story, written by a reputable news organisation with a strong Google presence, can be costly. In some cases, it can even be catastrophic. 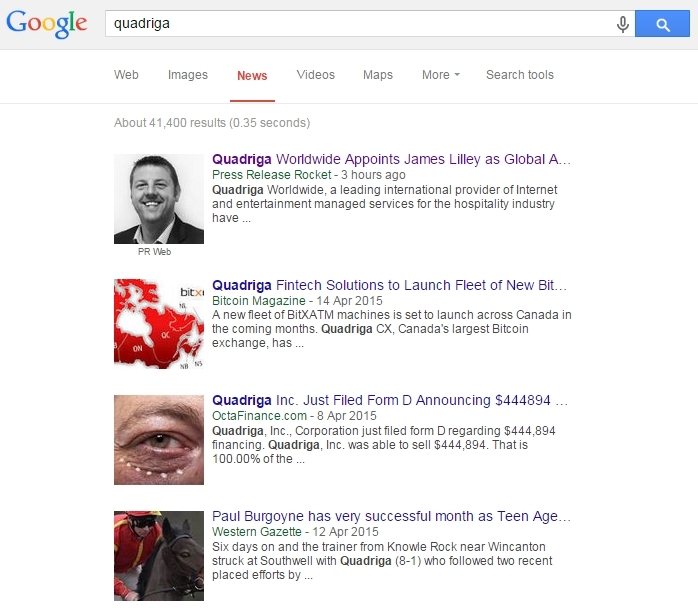 How does the new Google update relating to ‘News’ items and company statements change things? Sorry, you didn’t know about this change? Hardly surprising, as Google didn’t care to announce it. The change was actually reported on by journalists at Reuters, whose report has brought it to the fore. In short, the new algorithm tweak means that statements released by companies can now end up top of the pile under the ‘News’ section. What that means is if a company issues a statement on a relevant news story via a press release, a search of that company could now see that statement become the first thing to be found in ‘News’. Previously, this would not have happened – you would have found independent stories on that company top of the list when conducting the search. As the ‘News’ is such an important filter on Google, due to the fact it provides a high level of credibility and often orders the most recent stories, this is a key change; any corporate that has found itself top of the news pile for negative reasons will testify as to how bruising it can be. Reuters reported that analysts say it risks costing news publishers web traffic, and misleading users. How does it play out for a company’s online reputation management? Again, the news agency reported some instances where this seems a benefit. It gives the example of Franco-Dutch SIM card maker Gemalto, which had in February confirmed reports it had likely been the victim of hacking. Even Apple appears to have benefited, with a promo site link for the new sought-after gadget topping the news section. Both have obvious reputation management benefits, as well as B2C and B2B PR benefits. Gaining the high ground in reputation management is often key –allowing the public and journalists to digest a company’s version of events before they are left jaundiced by a more aggressive, perhaps untrue version is often part of a strategy. 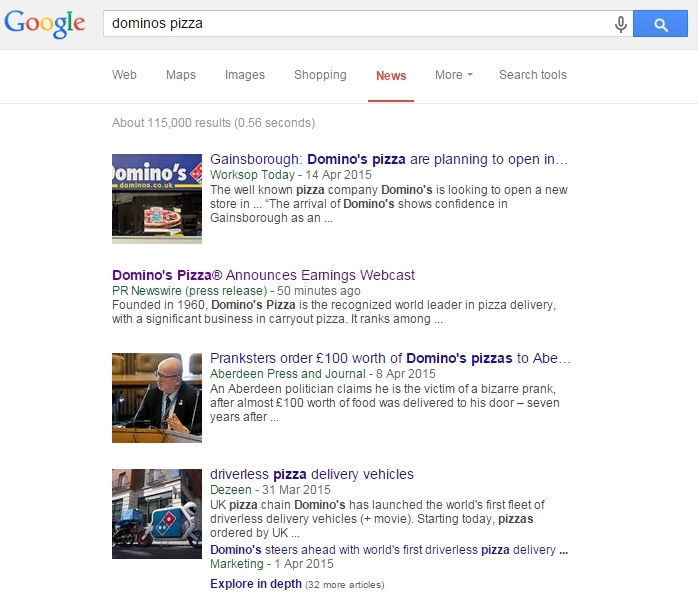 A company having its statement on the top of Google news section is therefore a powerful component to be able to deploy. Josh Schwartz, Chief Data Scientist at Chartbeat, argued it was likely companies could use search engine optimisation techniques to lift their rankings in the news listings. He said the new system could confuse readers, directing them towards public relations material and away from valuable news reports. Companies, or individuals for that matter, should not be lured into a false sense of security that this is the catch-all solution for their online reputation management problems. While the tweak will allow for press statements issued via news wire services to sit at the top of the news section, the lofty position will not be enjoyed forever. Moreover, the impact it may or may not have on the all important barometer – page one of Google – is yet to be seen. That is the real key; in general, press release statements issued via paid-for services tend not to rank very highly on Google. It must be pointed out that the strength of the actual statement is also key, as is the follow-up work that is conducted. If the statement warrants a story in its own right which is good enough to be carried by a recognised news outlet, it can often be a benefit, even if it does mean the story is continued beyond the original report. This new change does not remove the need for deploying trusted PR skills (and indeed a good legal strategy) when there is a crisis or reputation management issue at hand. This same rule applies for Right to Be Forgotten, which was brought in following a European court ruling and led to the introduction of an application process to ask for articles to be removed. We predicted that wouldn’t be the catch-all solution to reputation management and that has proved to be very much the case. It would be a false sense of security to think that the latest Google change is a safety net would be wholly wrong. Remember, any publication worth its salt has an online presence – there is little hope of expecting a story not to emerge online. If you find yourself in the position of issuing retrospective statements, analyse whether you were in a position to deal with it proactively. The answer is probably no and if that is the case, it needs addressing. Can you handle this in-house or do you need to look outside your company? Is your online strategy across all relevant platforms – your reputation team needs to be working with the digital experts. Act quickly and decisively – one story online can quickly turn into hundreds. If you are issuing a statement, carefully consider the points which need to be made. The tone and language, as well as the detail, is representative of your organisation. Online reputation management should not be handled in a vacuum – what is your strategy beyond the need to deal with the immediate problem. Get your website right – there is no excuse for not having a good one. First impressions are important and journalists and indeed the public looking for info on a company in the news gauge a great deal from the strength of the site. Ensure there is a section on your website which also allows you to respond with company statements. This will also help with Google.